British education is full of acronyms which can be confusing for new teachers, or teachers moving to the UK. Here’s our guide to British education acronyms that will help ensure you’ll never again feel like staff meetings are being conducted in a secret code! AfL – Assessment for Learning – a programme of teaching and learning activities which are designed to provide information to be used as feedback to modify the learning activities. Examples of AfL activities are: effective questioning, observations of students during teaching and learning activities, class discussions, analysing work and providing feedback to students. A-Levels & AS levels – advanced qualifications for students 16-19 years. A-Levels are achieved following two years of advanced study. APP – Assessing Pupils’ Progress – a structured approach to periodically assessing maths, science, reading, writing, speaking and listening skills. APP is not mandatory and schools may decide whether or not to use it. BTECs – work-related qualifications offered by an increasing number of schools and colleges. They can be taken both as an alternative to or in conjunction with A Levels or GCSEs. BTEC courses are vocational courses but they also cover the theoretical aspects of the subject. CATs – Cognitive Ability Tests – a set of tests for children 7-15 years, which include verbal reasoning, quantitative reasoning and non-verbal reasoning. Similar to the Midyis test. CPD – Continued Professional Development – any activity that increases teachers’ knowledge or understanding, or effectiveness in schools. CPS – Common Pay Scale – starting point for teacher’s salary scales. Note: academies and free schools can set their own pay scales. DfE – The Department for Education – responsible for education and children’s services in England. EAL – English as an Additional Language – refers to children whose first language is not English, and may not speak English fluently or at all. EBD – Emotional and Behavioural Difficulties – Children who display these problems may be placed on the Special Needs Register and given extra support. EHCP – Education Health and Care Plan – Students who are issues with an EHCP have serious special educational needs, and will receive extra assistance in their learning. Plans outline the child’s needs and required support, and are reviewed annually. EYFS – Early Years Foundation Stage – sets standards for the learning, development and care of children from birth to 5 years old. All schools and Ofsted-registered early years’ providers must follow the EYFS, including childminders, preschools, nurseries and school reception classes. GCSE – General Certificate of Secondary Education – academic examination of basic secondary education, generally taken by 14-16 year old but available to anyone who would like to study a subject that interests them. GCSEs are available in a wide range of academic and work related subjects. HLTA – Higher Level Teaching Assistant – a HLTA does all the things a regular teaching assistant does but they have a greater level of responsibility, such as being able to teach classes on their own, cover planned absences and allow teachers time for planning and marking. HOD – Head of Department – subject leader accountable for teaching and learning, supporting staff, resource management and quality assurance. HOY – Head of Year – responsible for welfare of students in the year level. IB – International Baccalaureate – a series of educational programmes for children aged 3-19. IEP – Individual Education Plan – identifies the special educational needs of a child and outlines target and strategies to support their learning. ITT – Initial Teacher Training – A course required in order to gain qualified teacher status. LAC – Looked after Children – children who are in care or looked after by foster parents. LACs have the highest status for admissions and provisions in schools. LSA or LSTA – Learning Support or Teaching Assistants – this is a widely used job title for assistants who provide in-school support for students with special educational needs and/or disabilities. KS – Key Stage – the National Curriculum is organised into blocks of years called Key Stages. MLD – Moderate Learning Difficulties – Students with MLDs receive extra assistance under the SEN provision. Students with MLD have attainments well below expected levels in all or most areas of the curriculum. Their needs will not be met by normal differentiation and the flexibilities of the National Curriculum. NQT – Newly Qualified Teacher – a teacher in their first year of qualified teaching. NVQ – National Vocational Qualification – a competence based qualification, in which students learn practical, work-related tasks designed to help them develop skills and knowledge to do a job effectively. Ofsted – The Office for Standards in Education, Children’s Services and Skills – the regulatory and inspection body for education and children’s care service providers. Ofqual – The Office of Qualifications and Examinations Regulation – Ofqual regulates qualifications, examinations and assessments in England, including SATs, GCSEs, A-levels, BTECs and NVQs. OTT – Overseas Trained Teacher – Teachers who qualified in countries outside of the EEA, who may work as a temporary teacher in England for up to 4 years without QTS. Teachers who qualified in Australia, Canada, New Zealand or the USA may be recognised as a qualified teachers and can apply for QTS status in England. You must have QTS to take up a permanent teaching post in a state maintained school. POS – Programme of Study – sets out what should be taught in each subject at each key stage. PPA – Planning, Preparation and Assessment time – 10% of teachers time is allocated to PPA. PPF – Pupil Premium Funding – additional funding allocated to schools per student receiving fee school meals. PRU – Pupil Referral Unit – established and maintained by an LA to provide education for pupils who would not otherwise receive a suitable education due to exclusion or other reasons. PYP – Primary Years Programme – the International Baccalaureate Primary School programme for children aged 3-12. QTS – Qualified Teacher Status – the accreditation that allows you to teach in state-maintained and special schools in England and Wales. SATs – Standard Attainment Tests (previously known as Standard Assessment Tasks). During Key Stages 1-3 progress is assessed against 8 levels in most National Curriculum subjects. In 2016 new KS1 tests were introduced based on English reading and grammar, punctuation and spelling (not writing), maths arithmetic and reasoning. KS2 tests cover English and Maths. SDP – School Development Plan – a projection of what a school hopes to achieve within a prescribed time limit. SEF – Self-Evaluation Form – an online form which helps schools evaluate their own performance, used by Ofsted inspectors prior to an inspection to help identity where they might need to focus their efforts. SEN – Special Educational Needs – provision to support pupils with learning disabilities. This may be provided through mainstream or more specialised education. SENco – Special Education Needs Co-ordinator – teacher responsible for ensuring that students with learning difficulties, emotional problems and behavioural problems receive appropriate support, overseeing the completion of IEPs and liaising with external agencies. SSCo – School Sports Co-ordinator – responsible for implementing School Sport Partnerships plans for the feeder primary schools in their cluster. SSCOs support colleagues in the delivery of high quality PE and school sport, and have a remit to increase sporting opportunities for students outside of school hours. STEM subjects – science, technology, engineering and maths. Sometimes called STEAM, with the addition of Arts into the mix. 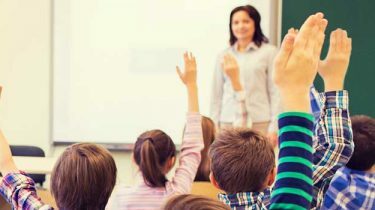 TLR – Teaching and Learning Responsibilities – classroom teachers who take on extra responsibility could be awarded a TLR payment if they meet certain criteria. UTC – University Technical College – academies for 14-19 year olds which provide vocational education. UTCs offer technical courses and work-related learning, in combination with academic studies.